More buses on Gottingen Street bad for business? 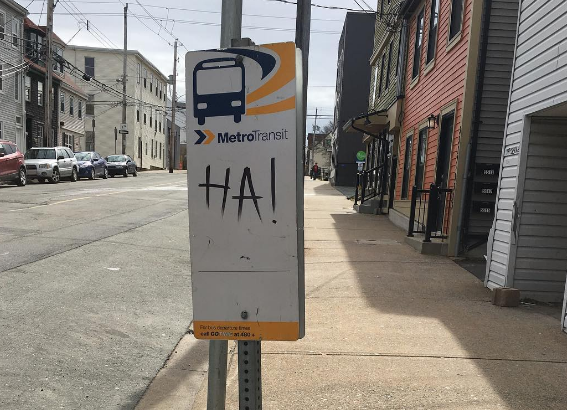 A not-so-serious bus stop, noticed by themaxonlinedotnet on Instagram at the corner of Gottingen and Cornwallis. Would fewer parking spaces on Gottingen Street help or hinder local businesses? Ross Cantwell feels it’s the latter. An email from the property developer to Halifax Transit and peninsula councillors Jennifer Watts and Waye Mason (CC'd to The Coast) voices concerns about potential plans to remove on-street parking in order to ease transit congestion. He’s referring to Halifax Transit’s recently-approved Moving Forward Together redesign. That plan says the Gottingen Street corridor is in critical need of new transit investment to function properly. As a solution, Halifax Transit is recommending two-way service for Route 1 (which currently travels along Barrington Street when coming off the bridge) and the implementation of new transit priority measures (or TPMs). Those can take the form of anything from bus-only and “queue-jumping” signals, to the creation of new lanes or even eliminating some on-street parking. 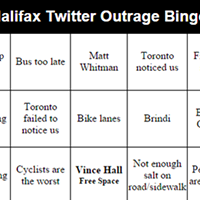 None of those ideas have been selected yet, and Halifax Transit believes it could take several years to implement the complex measures once they are chosen. But Cantwell—who’s currently developing three Gottingen Street lots of mixed-use and affordable housing —is concerned that removing any parking spaces or creating a new bus-only lanes will make it harder for retail shops to survive. “Eliminating parking on Gottingen Street will have a negative impact on any plans to create or revitalize retail on this great street and I urge you to not allow this to happen,” writes Cantwell. A follow-up email to HRM from Ratinaud French Cuisine owner Frederic Tandy echoes those concerns. Tandy writes that he often hears his customers complain about the difficulty in finding parking. Anecdotal evidence aside, past research has shown that some business owners overestimate the percentage of their customers who drive. A 2012 study from Dalhousie’s school of planning examined the importance of parking spaces up on Agricola Street for business vitality. It found that walking pedestrians and cyclists visit businesses more frequently and spend more money than drivers. But that’s not what the business owners believed. To be fair, even the author (who’s now a planner with the City of Calgary) admits this is a limited study, but the results have been replicated elsewhere. An Oregon investigation found cyclist and pedestrians make more frequent trips to restaurants, bars and stores for a greater total economic impact than drivers. Likewise, Vancouver’s merchants badly misjudge their customers’ modes of transportation. The Atlantic’s CityLab has a pretty comprehensive breakdown of other studies looking into the economic impact when on-street parking is removed, though it’s geared mostly towards the installation of bike lanes. All of which is not to say the north end businesses worried about Gottingen Street are wrong. 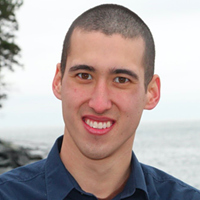 Even the loss of a single regular customer can be detrimental to a small business owner. They have a right to be nervous about changes. Cantwell included a study by Washington’s Urban Lands Institute with his email that says “parking is power” in revitalizing retail neighbourhoods. Though the report also notes that improved transit service means parking needs may decline. Back in 2013 the North End Business Association commissioned its own survey about the needs for on-street parking (though the results don’t seem to be up online anywhere). Councillor Jennifer Watts says she’s already spoken with the NEBA about the possible plans, but stresses that nothing is “set in stone” right now and that there will be numerous consultations with the business community before Halifax Transit decides on any particular TPMs. 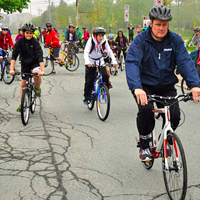 Cycling Coalition receives new funding while HRM reverses its stance on truck side guards. Finally, there's a good use for our collective negative attitude.